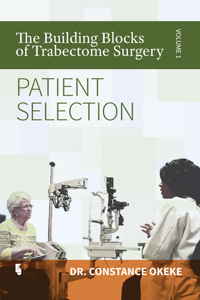 The Building Blocks of Trabectome Surgery Volume 1: Patient Selection focuses on helping to improve Trabectome outcomes through a step-by-step approach for patient selection, as well as many other facets of pre-, intra-, and post-operative care. In this book you will find pearls, personal notes, steps to avoid, and action points that will ease you into the transition of adopting the Trabectome procedure to get motivated to get started right now! ▶ ... you are a glaucoma specialist who desires to learn more tools to use in micro-surgical glaucoma treatment. ▶ ... you are an anterior segment surgeon who is contemplating a new MIGS procedure to stay on the cutting edge and help reduce glaucoma drop usage for your patients. ▶ ... you are an optometrist who wants to know more about the micro-incisional surgical options for intraocular pressure lowering in your glaucoma patients with or without cataracts. ▶ ... you are an ophthalmology or optometry student intern, resident or fellow who wants to learn more about a MIGS procedure and how to identify the best candidates for the surgery. ▶ ... you are interested in discovering new ways to increase your financial productivity and efficiency. ▶ ... you want to be a hero and give hope and more options to your glaucoma patients. This is a book about how you can become a skilled Trabectome surgeon by teaching you how to first evaluate and find great patients for the Trabectome surgery. Having great technical skill of any surgery is very important, however, knowing how to select great candidates will couple those skills to allow you to have even better outcomes. This book is very simple, straightforward and practical. The promise of this volume one of The Building Blocks of Trabectome Surgery is that as it opens your eyes to the possibilities you will be able to inspire and give hope to many of the glaucoma patients you care for who otherwise might have to undergo more invasive and riskier procedures to control their condition. You can be their hero. Dr. Okeke is known internationally for her expert work in the area of MIGS and she is as passionate about teaching as she is about surgery. She has performed over a thousand Trabectome surgeries since 2009 and has shared her expertise with thousands of doctors worldwide. As an official Trabectome trainer, she has presented lectures and led wet labs at national and international ophthalmic meetings and teaching institutions. Her additional output includes educational videos, tele-seminars, webinars, and personal and group coaching. "...Finest Source of Information to Date..."
"...This book is a must read..."
"Dr Okeke compiled the finest source of information to date regarding the use of Trabectome for glaucoma patients. The book is unique because it addresses both the most mundane to the most complex issues surrounding the use and importantly misuse of MIGS. The information in these pages is useful not only to the novice but to the highly experienced anterior segment surgeon as well. Each page reveals her secrets of glaucoma surgery with pearls gleamed over years of compassionate clinical care. It is a treat to see this materialized into a good read on how to better care for patients with glaucoma." "I learned a lot and am confident..."
"...patient scenarios was very compelling..."
"Dr. Okeke maps out the steps in a systematic fashion to allow beginning Trabectome surgeons to have a successful outcome with surgery. She writes in a fashion that draws the audience to her personal story. I think that having the patient scenarios was very compelling, as it was good to see how real patients performed. The patient testimonials were also powerful. I also like how Dr. Okeke notes the appropriate patients for Trabectome, but just as importantly, notes the patients who are NOT appropriate for Trabectome. 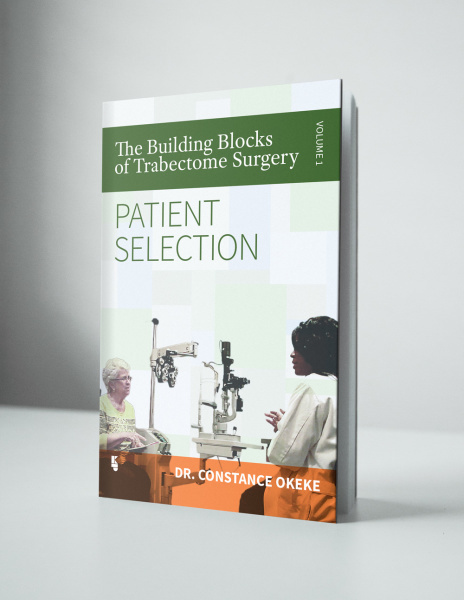 Dr. Okeke draws on her personal experience with over 1,000 Trabectome surgeries in this book which can serve as a “How-to” manual for beginning Trabectome surgeons, and in a style that is a great read!" "...thought provoking, easy to follow..."
"Filled with surgical pearls and ... insight..."
"...helped improve the quality of life..."